Everyone’s heard about Androids fragmented ecosystem, well we’re about to get some more. 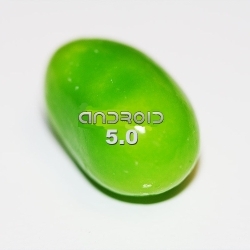 Jelly Bean, the new Android version 5.0 is coming, and soon. Some rumors suggest that Google’s next update may be coming out as soon as this summer. The first word about Jelly Bean was back in September 2011. There was just the announcement of the name and little else. In fact, so little information was released that it led many to believe that it may have been a hoax. Questions also arose if this was going to be an incremental upgrade or a big one? More recently, there was a tip that this new upgrade of Android would be Android 5.0 and would be released in the 2nd quarter of this year, and it would have features similar to Motorola’s desktop mode. This function would allow the phone when plugged in or attached via dock to simply adjust its user interface to desktop mode, although nothing has been confirmed. With the impending purchase of Motorola, there seems plausible. This leads us to believe that this upgrade may be more than some bug fixes and multitasking enhancements. Android 4.0 was designed to be the OS’s push into tablets, and so far has made little impact in the market. This isn’t surprising since its first announcement was just five months ago. Google reports that Ice Cream Sandwich holds 1% of Android market share. It appears that at first blush, Jelly Bean is possibly going to be tablet specific, which would indicate that Google is backing off its commitment to have a “one size fits all” OS like iOS for the iPhone/iPad. Again, this is just speculation at this point. Android Advice reports that Jelly Bean devices will have some nice new features, including the ability to switch between operating systems without the need to restart. The rumor of an early release could be to counter the unexpected rave reviews from upcoming Windows 8 tablets and the expectation of the impending iPad 3 release. If Google was to announce a big change to Androids core functionality, it would be more likely the announcement of Jelly Bean aka Android 5 would be at the yearly I/O conference in June. The likelihood of Google releasing new software this early is far-off. The desktop mode would be a nice feature added to Android but don’t expect to see it until late fall. S4GRU EDIT 9:36 AM MST: Computer World released an article this morning that says a Google Exec is claiming a Fall 2012 release for Android 5.0 Jelly Bean. I'm betting Jelly Bean merges in ChromeOS as the "webtop" OS since the Chromebooks outside of a few contracts were complete non-starters and it seems like it'll work better than the Linux/Mozilla setup that Moto used.